If you want a teaching career in an exotic multicultural country with excellent travel opportunities and endless selection of food from diverse cultures than teaching in Malaysia is the perfect choice for you. Are you seeking a Teaching job in Malaysia? Primary Teaching Jobs in Malaysia - September. Are you seeking a Teaching job in in the Far East? 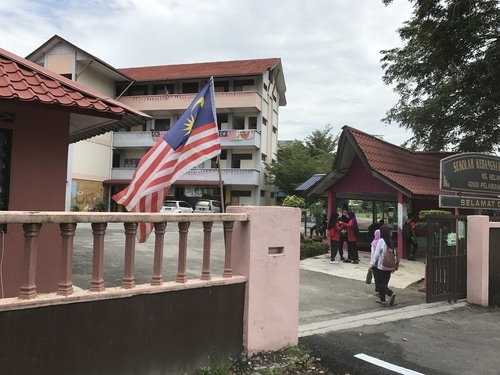 Year 3 Teaching Job in Malaysia, September. Malaysia is a federal parliamentary monarchy consisting of thirteen states and three federal territories. The precursor of Malaysia, the Federation of Malaya, achieved independence from the United Kingdom in 1957. Six years later, two more former British colonies in Borneo, Sabah and Sarawak, joined the federation to form Malaysia. Malaysia’s head of state is a king chosen from one of the hereditary rulers of nine states on a five-year rotation, while the head of government is an elected Prime Minister. The government and constitution of the country of 31 million is closely modelled after that of Britain and India. Private and international schools are generally viewed as superior to public schools, owing to the use of either American or British curriculum, smaller class sizes and superior teaching personnel (which is also the reason why a sizable number of wealthy locals send their children there). This is why private schools in the country only hire experienced applicants with strong academic and teaching credentials – and why fresh graduates are rarely hired. Pension: 11% contribution to Employees Provident Fund, which receives a government-guaranteed 2.5% minimum annual dividend. The entire amount in your account can be withdrawn if you plan on leaving Malaysia permanently. In addition, please refrain from publicly criticising - either verbally or in writing - the King, sultans, Islam or the special privileges of the Malays; the police regularly prosecute offenders using either the Sedition Act or Internal Security Act. Climate: Malaysia is located almost exactly on the Equator, which means the country enjoys a tropical rainforest climate. So be prepared for high humidity and sudden thunderstorms. It can get pretty warm during the day (28 °C to 32 °C), but on most nights, the temperature is pleasantly cooling. Visa: Britons do not require a visa to enter Malaysia. They can stay for up to 90 days. However, do not commence work until your work permit has been approved. Otherwise, you run the risk of being deported.